According to a recent article in the Wall Street Journal by Joe Light, Fannie Mae reported earlier this week that it will begin a program this year that will let lenders include income from non-borrowers within a household toward qualifying for a loan. These non-borrowers can be classified as extended-family members who live together and can contribute income toward the cost of housing or parents who can contribute income. This act by Fannie Mae should allow mortgage access to a specific population which doesn’t fit the stereotypical family structure and has had difficulty getting mortgage loans in the past. The program will only be available to low-income borrowers or those living in low-income or minority-dominated areas. Light explained that Fannie Mae officials reported that their research indicated that extended households have incomes as stable or more stable than other kinds of households at similar income levels. 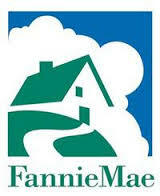 This decision of Fannie Mae comes on the heels of advocates for increased minority home ownership who have argued that companies such as Fannie Mae and Freddie Mac should make changes reflecting the unique characteristics of the minority groups that are making up an increasing share of new households. Chief executive of the National Association of Hispanic Real Estate Professionals, Gary Acosta, explained that this program could change mortgage availability for tens of thousands of Hispanic families. Light also mentioned that some lenders believe that changes like this are critical to addressing the country’s changing demographics. And, according to the Urban Institute researchers, in the next decade, three in four new households will be formed by minorities. To qualify for loans under Fannie Mae’s new program, borrowers must make less than 80% of their area’s median income, buy a home in a low-income census tract, or make less that 100% of the area’s median and buy a home in a high-minority census tract or designated natural disaster area. The program will allow down payments of as little as 3% and will also require borrowers to undergo credit counseling. If you happen to have questions about anything pertaining to the mortgage industry, please give me a call and we can discuss whatever is on your mind.